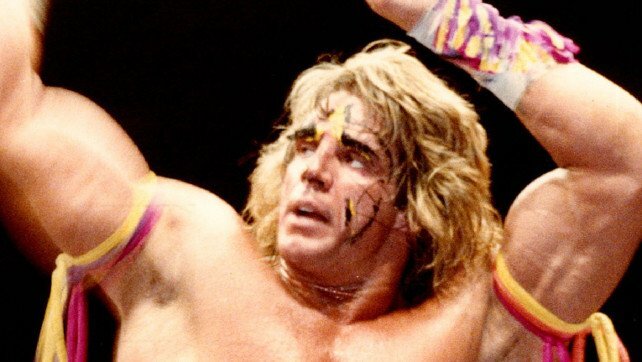 We’ll start off by saying that we admit The Ultimate Warrior wasn’t the best in-ring worker, whether it was for his time or for any other time. However, it’s important to remember that Warrior’s peak took place during the Golden Era – an era known for it’s cartoony, larger-than-life characters. As a result of this, WWE superstars never really needed to focus on their movesets. It wasn’t as important as today, but one thing remains – the larger WWE audience will always be more invested in a strong character than a strong in-ring worker. This isn’t to say that Warrior never had good matches. Even Hulk Hogan, if you look at his body of work in Japan, you’ll find that he was actually a much more technical worker than people gave him credit for. In WWF, he was allowed to tone down his style, and it worked either way. This is one of the major reasons why Warrior rose to such stardom despite his limited in-ring ability. Either way, he’s had some really good matches, and we take a look at them.